Sick of all the ads on the tube? So are the Citizens Advertising Takeover Service (yes, CATS). They crowdfunded £23,000 to replace 68 adverts at Clapham Common tube station with photos of our feline friends from animal charities in London. The pawesome billboards will stay up for two weeks, so check it out. Is your commute this fun? Londoners were treated to a station full of cat posters at the Clapham Common tube stop this week as part of a campaign to swap ads for cats from the “Citizen Advertising Takeover Service” (C.A.T.S.). The group created a Kickstarter that stemmed from “trying to imagine a world where people valued experiences and friendships more than shopping.” They raised over $30,000 from 700 funders to keep the cats posted at Clapham Common for a full two weeks — and featured many adoptable cats in the campaign. Most of our morning commutes could use a break from all of the ads — on billboards, station placards, on the radio if you drive, on podcasts if you have your headphones on. Being surrounded by advertising has a direct negative impact on things like obesity and self-esteem, particularly in young people. While swapping out the ads for cats may seem silly on the surface, there’s proven evidence that cats rule when it comes to providing a calming atmosphere, even if they are virtual. Felines have long held a mystical place in society. They were worshipped in ancient Egypt and were first domesticated 10,000 years ago. But why are they so popular online? 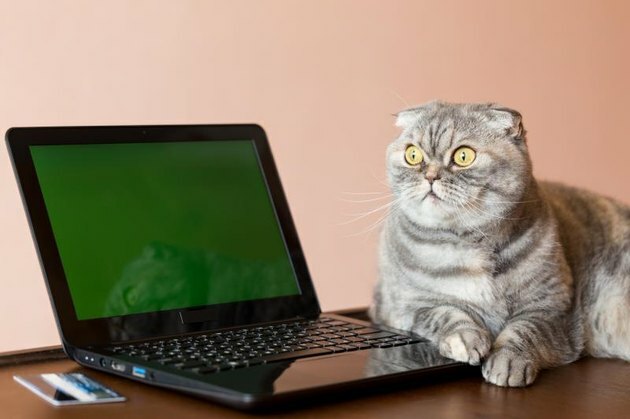 There are various theories ranging from the silly to the suspect — one expert suggested to CNN that cat owners are less social than dog owners, preferring virtual interactions to in-person communication, hence their internet dominance. Don't take offense if you're a cat person. Lest you don’t fancy hopping the next flight to Heathrow, you can see oodles of real furry friends at one of the 24 cat cafes set to open this year around the U.S. Cat cafes started in Japan and have expanded around the world, allowing guests to interact with the felines and even adopt them. Do you prefer cats to ads... or even humans? Which internet felines are your favorite procrastination – we mean relaxation – method? Tell us in the comments! Who watches Internet cats, why, and to what effect?